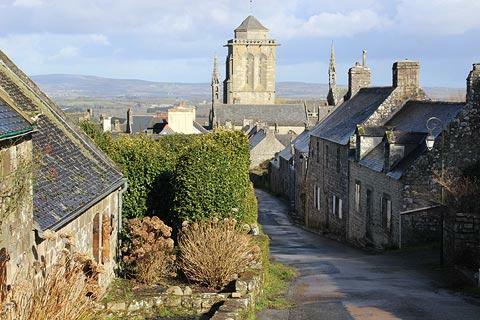 Locronan is a very impressive and unspoiled Brittany village and certainly one of our personal favourite villages in France. 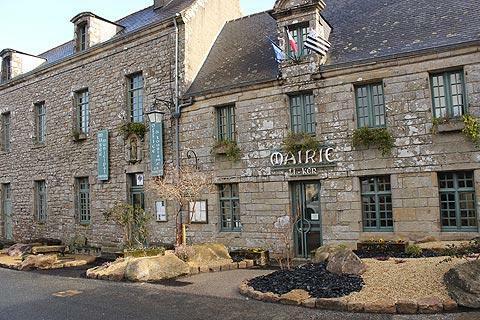 Officially one of the 'most beautiful villages of France', it is 15 kilometres north-west of Quimper in the Finistere department of western Brittany. Each of these epoques has left its mark on the town and region which is of course now better known as a popular tourist destination. 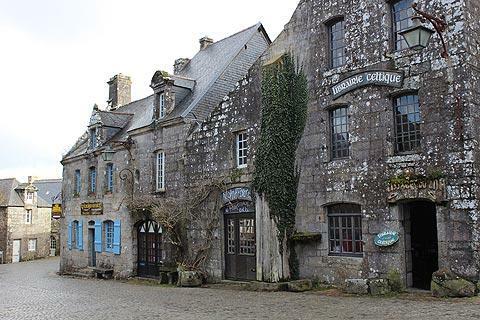 The whole centre of Locronan is extremely well preserved and quite extensive, and largely built in the distinctive local granite. 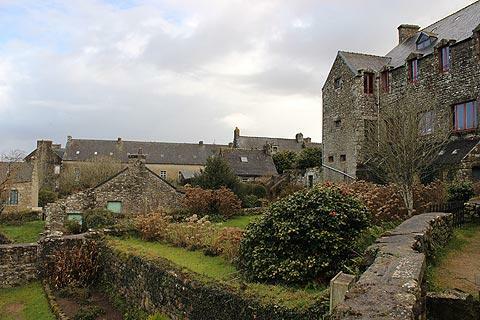 The solid houses with traditional slate rooves are interspersed with plenty of greenery, making for a very attractive village. 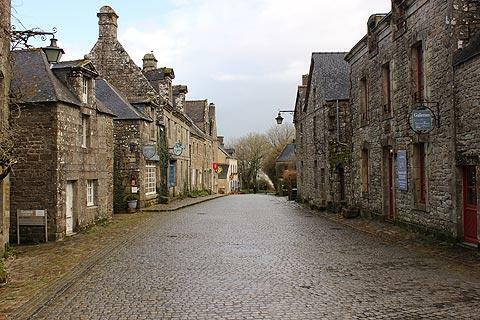 There are a traditional granite houses and a few restaurants and shops along this street and the village church is straight ahead of you. You quickly reach the cobbled Place de l'Eglise: from this square you can easily reach all the highlights in the village and explore the surrounding streets. 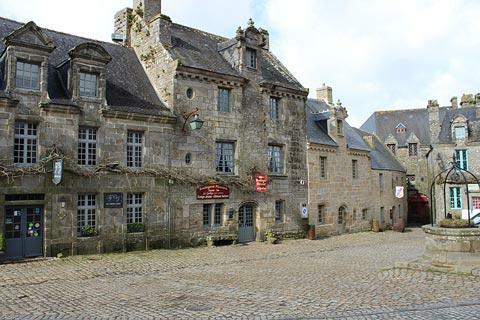 There are lots of villages in France we describe as having 'well preserved medieval squares'. 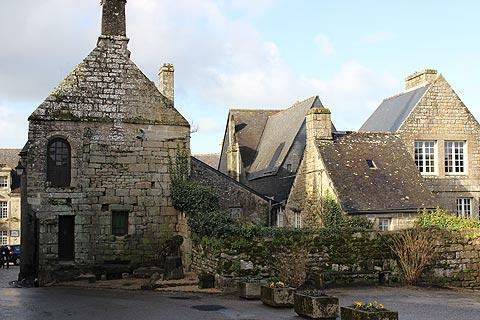 Locronan is certainly among the most impressive of them, and Monpazier in the Dordogne is another. 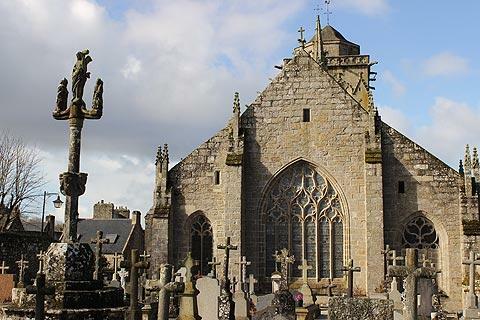 Take the time to explore in and around the Church of Saint Ronan that dates from the 15th century and the almost separate building on the right side of the church that was built to hold the tomb of Saint-Ronan and has a tall thin spire-belltower. In the interior of the church there is an intricate altar, numerous stained glass windows, carved reliefs and medieval religious statues of painted wood: the 'pieta' of the Virgin and dead Christ and the statue of Saint Ronan are among the most interesting. Behind the church there is also an attractive small cemetery and a small garden area which you should take a stroll around. There are also a few small shops and cafes around the square. From here it is easy to explore the rest of centre of the village as streets depart in all directions: to the left of the church follow the loop formed by Rue des Charrettes and Rue du Four and opposite stroll along the narrow road called Venelle Toul Prichen. Locronan tourist office do have a leaflet suggesting the best route to follow while you are exploring to ensure you don't miss the highlights, but even without it you will manage pretty well! 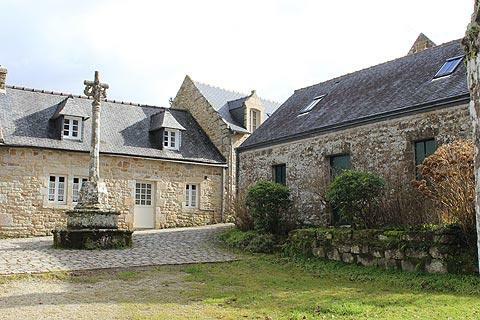 - walk a short distance north along Rue Moal to visit the delightful Chapelle Notre Dame de Bonne Nouvelle, an ancient chapel that also has a small pond area called the Fontaine Saint-Eutrope and is in a picturesque setting. 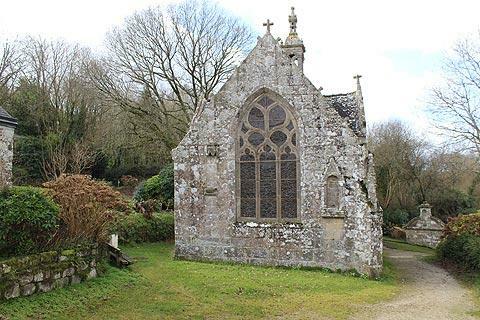 This chapel is also one of 12 stages along a pilgrimage route called the Grande Troménie that follows the route between villages as originally followed by Saint Ronan. A shorter procession called the Petite Troménie takes place here on the second Sunday in July each year. There is a reasonable choice of cafes, creperies and artisan boutiques throughout the village and some of the little art galleries scattered around the town were surprisingly impressive. 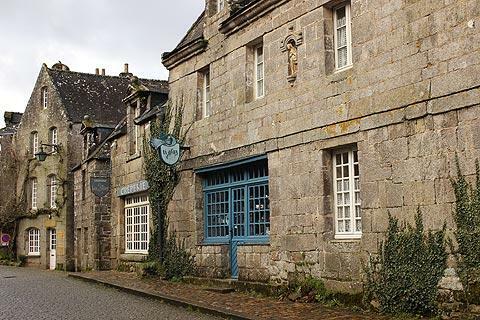 The Museum of Art and History of Locronan provides an interesting look at the history of the town. 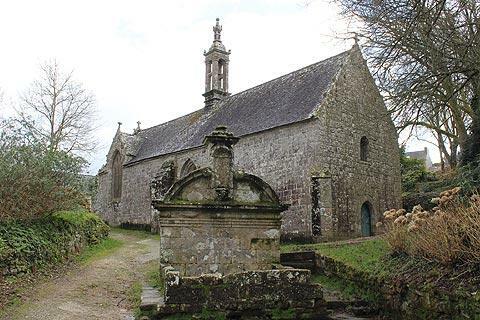 The best views of the region around Locronan and out to sea involve a little effort, for example you can follow the path up the 'Montagne de Locronan' to the small Chapell ar Sonj. Other excursions we recommend include a walk through the forest at Bois de Névet, and if you are feeling ambitious the Locronan tourist office can suggest a longer walk through the surrounding countryside.